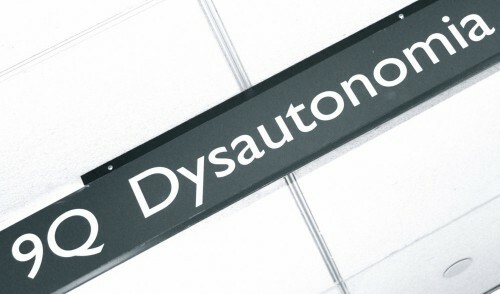 Each member of the Dysautonomia Center brings their own expertise to the team. Our Director, Dr. Horacio Kaufmann, provides the vision and asks that we never stop looking for the answers we still need. Our clinicians and nurses provide care to patients with autonomic disorders. Our research team leads the mission to better understand autonomic neurology and finds way to improve patient’s lives. Our administrative staff help hold it all together and make sure that we have everything we need from a grant budget to a meeting with our collaborators. Each person relies on one another, and we all play a part. The staff that work at the Center come from all backgrounds, but come together to work on autonomic disorders. Our nurses have spent time in the intensive care units, cardiology clinics and as paramedics responding to medical emergencies in the city. Their diverse training gives medical background necessary to care for patients with autonomic disorders, who can have problems with all organ systems. Our research team is made up PhDs and clinician scientists who work with clinical data, they run clinical trials and studies. They have backgrounds in physiology, sleep, pharmacy, psychiatry, neuro-ophthalmology and more. We have project assistants and data managers, who help us with out databases and project logistics. Our clinical trials team organizes and runs our treatment trials. In addition to arranging study visits, they work tirelessly behind the scenes to make sure we have all our regulatory documents in order. This is no small task. No office would work without an good administrative team and smart office staff. These folks are the front line; answering calls, booking appointments and making sure things run as smoothly as they can. I want to know if there are any places for treatments for FD. I have it and I am 61 yrs old. We live in the South. It has affected my lungs stomach and heart/ blood pressure. Hi, Cathy. We’d be happy to help in any way we can. Please call the Center at 212-263-7225. Is this study available & if so how do you join? Mom of 10 yrs old diagnosed with dysautonomia. Hello, i’m from Brazil and i was diagnosed with dysautonomia for about 3 years ago and since then I can not have a good quality of life. I wonder how I could make this appointment.